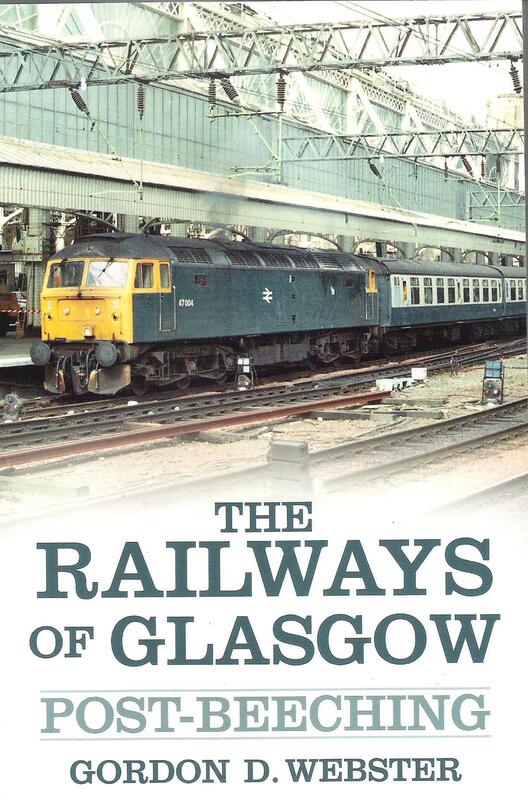 The Railways of Glasgow: Post-Beeching is a follow-up to Gordon D. Webster’s West Highland Post-Beeching title, with a detailed history of rail in Scotland’s biggest city since the 1960s Beeching Cuts saw a huge chunk of the suburban network closed. 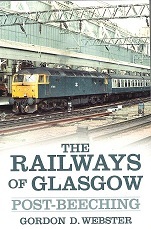 160 pages long and packed with colour and black & white pictures, it studies developments all the way up to the present day on Clydeside; with increasing electrification, new trains, station and line re-openings, freight traffic patterns and the changing face of the two massive terminus stations at Glasgow Central and Queen St. The Glasgow Subway is also looked at before and after its 1970s rebuild. The first book ever to provide easy-to-understand maps covering the entirety of Glasgow’s modern rail system, this is also the first one to cover ALL the developments in the diesel and electric era, all in a handy, compact A3 size. For railway modellers, there is the added bonus of freight and passenger traffic patterns and consists, detailing all the traction used from the Glasgow-Edinburgh ‘Push-Pull’ Class 27s and 47s, to Class 303 and 320 EMUs. Published by The History Press. Paperback.